On August 31, 2017, the Moderate Resolution Imaging Spectroradiometer (MODIS) on NASA’s Terra satellite captured this image of the Texas coast and the Houston metropolitan area. Note the brown rivers and bays, full of flood water from Hurricane Harvey. 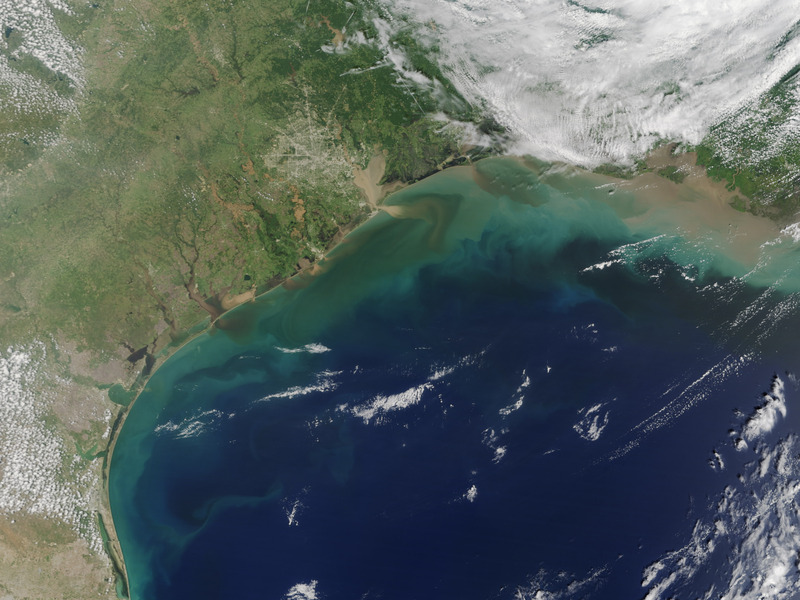 Along the coast, muddy, sediment-laden waters from inland pour into a Gulf of Mexico that also was churned up by the relentless storm. NASA Earth Observatory image by Jesse Allen, using data from the Land Atmosphere Near real-time Capability for EOS (LANCE). Caption by Michael Carlowicz.